Enforcement manager cited 'complete lack of accountability' for firms managing low-income care. A manager hired to improve a government program serving 1 million people encounters "improper relationships" with the companies his coworkers supposedly oversee, and his efforts hit "roadblock after roadblock" as the agency "ignores" misspending. The plot may sound like a nerdy British dramedy you'd find on Netflix. It is, however, a real-life account provided by a key manager for the Oregon Health Authority shortly before he quit eight months ago — having given up on improving the state program that touches more lives, more significantly, than any other here: the Oregon Health Plan. In an April 27, 2018 email to federal regulators, the plan's director of compliance and quality, Wes Charley, decried a "complete lack of ... accountability" for the network of companies and nonprofits the state uses in the program providing care for one in four Oregonians — including many of the most needy and vulnerable among us. Even Oregonians not using the plan should be concerned by Charley's assessment, since state coffers provided $2.3 billion of the $8.4 billion spent on OHP in 2017. Charley's email was obtained as part of a Portland Tribune analysis of hundreds of records, and his conclusions were bolstered by more than two dozen interviews with current and former state and private sector officials. They showed that Oregon has failed to properly oversee one of the state's costliest programs. In previous reforms in 2012, state officials promised to employ vigorous monitoring and "progressive accountability" to "protect the public interest" and oversee the companies that would be certified to administer the plan. In return for this commitment, the state won not only approval to reform the Oregon Health Plan, but also $1.9 billion in federal start-up funds. Bob Dannenhoffer, who headed the company that owned the state-certified care organization in southern Oregon, Umpqua Health Alliance, says he was shocked by how trusting the Oregon Health Authority was of the companies — and now feels the lack of oversight was a mistake. "I'd think 'We're good, but we're not that good,'" he recalled. Matt Salo, head of the Washington D.C-based National Association of Medicaid Directors, said that managed care systems like Oregon's, where public funds are used to pay private companies and nonprofits to administer health care, require sustained oversight. "You as the state have got to be constantly vigilant," he said. "You don't want to set (companies) up to fail — but you also don't want them taking advantage of you." Patrick Allen, who took over the state health authority in September 2017, agrees that more oversight is needed. Uncertainty around whether the 2012 reforms would work contributed to a hands-off approach. But he conceded that the agency's "light touch extended longer than it should have." Allen said the culture at OHA is changing, and a new round of reforms featuring tighter contracts with the care organizations serving the health plan, will allow the agency to more actively engage to enforce laws. People like Sam Pham, a 44-year-old graphic designer, feel the effect of state oversight of the Oregon Health Plan, which is required by federal law to provide reasonable and timely care for low-income people using Medicaid funds. 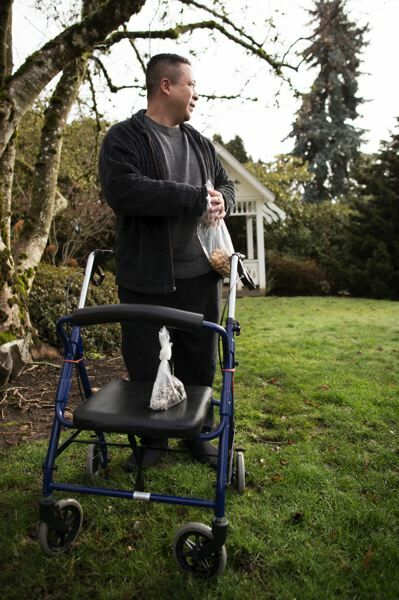 The Cedar Mill resident has been unable to work due to recurring pain and nerve and spine problems. Using a cane and walker, he's worried his condition is getting worse. "It took me three months just to get an initial consultation from a neurologist," said Pham, a graduate of the Pacific Northwest College of Art in Portland. "I'm trying to get a second opinion from another neurologist ... and that's going to be four months." Pham moved back to Oregon a year ago from California, where he was on that state's version of Medicaid. Since then he's been trying to navigate Oregon's 'managed care' system. The reforms spearheaded by then-Gov. John Kitzhaber in 2012 pushed hospitals, doctors, dental companies and county mental health agencies to operate under 16 regional "coordinated care organizations," or CCOs, spread around the state. They each were given a slice of the Oregon Health Plan budget as well as broad latitude to spend it. The organizations tend to be owned or operated by doctors, hospitals, insurance plans or some blend of the three. State officials portrayed the care organizations as equal partners, pivotal to the 2012 reforms' promises of bolstering preventive health and using Medicaid dollars more efficiently. The reforms relied on state health measures called "metrics" to see whether the care companies are doing their job, but mostly state overseers left them alone. The mantra amounted to "let every flower grow," recalls state Rep. Mitch Greenlick, D-Portland, who supported the reforms. But he said in some areas CCOs have not made the reforms they promised. "We've got some beautiful flower gardens out there — and some weedy patches." 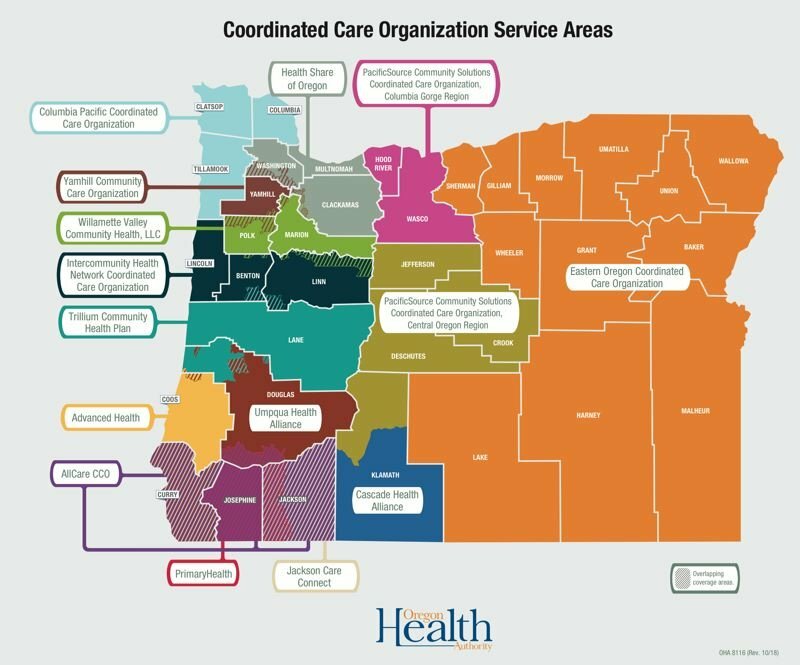 Even at CCOs considered highly successful — like Health Share of Oregon, the hospital-run nonprofit serving Pham and other members in Clackamas, Multnomah and Washington counties — some problems arose. In 2014, Multnomah County officials complained that the hospital systems that effectively owned and operated Health Share were increasing their earnings at the expense of public coffers, using "political pressure" to force county mental health administrators to pay inappropriate claims, according to a consultant hired by the county to study the problem, the Massachusetts-based Technical Assistance Collaborative. Health Share officials denied wrongdoing and blamed the county for the disagreement, but the consultant concluded Health Share had circumvented county grievance policies and infringed upon traditional cost controls, "undermining the county's ability to appropriately manage care." The dispute illustrates a key point in why oversight of managed care is considered crucial: CCOs' decisions about how to spend their state and federal funds on care — and how much to spend on that care— can boost profits for the doctors, insurers and hospitals that operate most CCOs. And while the CCOs report their basic finances to the state, profits made by those businesses and other entities operating the CCOs are not made public. Greenlick, the Legislature's foremost expert on Medicaid, said the state's oversight and financial reporting required of CCOs hasn't provided the public with enough information to see how its money is being spent. "I don't think we know what the real expenses have been for many of the CCOs," he said. A lobbyist for some of the managed care companies that administer the privatized plan, former state Sen. Paul Phillips, rejected the idea that the agency hasn't overseen his clients' work, calling the OHA "a very hands-on regulatory agency." Stephanie Vandehey, a spokeswoman for Health Share of Oregon, the CCO serving greater Portland, called OHA "a great collaborative partner. "OHA's oversight is detailed and thorough in many areas (such as Hep C treatment) and the organization has been supportive and helpful with navigating complex issues like resolving provider enrollment issues," she added. "We encourage OHA to take the necessary measures to perform proper oversight of CCO contracts, including investigating concerns raised by community stakeholders. Similarly, Health Share provides necessary oversight to all of our health plan partners—whether they cover medical, behavioral, or oral health benefits for our members—to ensure compliance with our CCO contract." OHA fraud investigators, however, told state auditors preparing a 2017 report that the agency has had "infinite trust" in the companies administering the plan, and said past agency leadership has discouraged state employees from asking too many questions to avoid "rocking the boat" as long as health measures looked good, records show. "There is no oversight of the CCOs," one of the OHA employees told auditors, according to records of the interview. "When issues are found, they are not always acted upon." •Though there's evidence that care has been improved in some ways, the state failed for several years to validate key data against clinical records despite consultant and staff recommendations to do so, records show. •Crucial patient rights such as the ability to appeal decisions about care have not been handled as required, according to a March 2018 consultant's report that found only six out of 15 care organizations around the state had complied with their contractual requirements in this area. •Industry observers agree the care organizations approved by the state to administer the plan banked huge profits in the early years of the reforms, and nobody can say precisely how much public money was turned into profit. That's because the lax financial requirements highlighted by Greenlick left the public in the dark. Allen, the agency director, said he does think financial reporting hasn't been consistent, and he hopes the next round of reforms improves things. 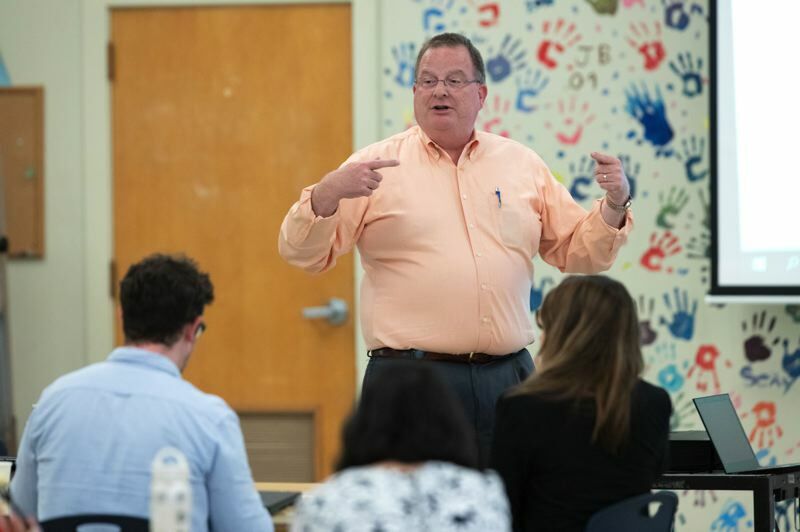 The reporting "can cause questions and that's why part of what we are doing is looking for improved standards to try to clean that up," he said, "so we can all be more confident in what we are seeing." Dannenhoffer, the former CCO executive, goes further. He said the system allows CCOs to manipulate their finances to avoid transparency. "I think it's time the CCOs open up their books," he said. "It's the public's money." Charley, the OHA enforcement official who quit, gave few details of failure to oversee CCOs in the email he sent last April to the Centers for Medicare & Medicaid Services under the subjec header "Some Concerns and Goodbye." He wrote that while the managers he'd complained about having "improper relationships" with CCOs had left, "I am not sure the current OHA culture is serious about providing oversight and and compliance." Citing a 'complete lack' of CCO accountability, he alluded to concerns that staff at OHA were unilaterally exempting CCOs from contractual or legal requirements, and "our own lack of internal oversight to ensure OHA staff are acting appropriately in granting exceptions to CCOs." Charley declined to comment for this article. And OHA officials declined to directly comment on his portrayal of the agency, other than to say things are changing and to minimize his claim that misspending was ignored. What's clear is that his portrayal of an agency culture and managers opposed to oversight is not how it was supposed to be. Records show that in 2012 the state promised the federal government that in the first year of its Oregon Health Plan reforms it would only offer technical assistance, not enforcement. After that, though, it would employ a ladder of increased accountability that would begin with CCO self-reporting of issues, then corrective action plans. If CCOs failed to fix problems, they could be fined, barred from taking new enrollees, or even lose their contract if problems weren't fixed. That, however, has not happened. Since 2012, the state has approved 11 corrective action plans submitted by CCOs to address problems. But the state never bothers to check and see if the corrective action plans have been implemented, and whether they succeeded, according to a "gap analysis" prepared by OHA staff and submitted to federal investigators last year. Not only that but the state has not issued a single sanction or fine to a CCO. That's contrary to how Medicaid works in states like Arizona, where state officials regularly sanction managed care companies and post the penalties publicly. A March 2018 report to the state by the consultant Health Insights found that problems identified years before at CCOs had not been fixed by either the CCOs or OHA. Katie Beck, an OHA manager who works with the CCOs, agrees the agency's focus has remained on "technical assistance." But she said that in the last year or two, under Allen's leadership, her staff feels they can more aggressively tell CCOs when they need to improve performance. For instance, one potential financial penalty against Advanced Health in western Oregon is pending. Allen and his staff say they are working hard to beef up staff and fix the gaps, including changing culture and making improvements after Secretary of State auditors questioned state oversight in late 2017. "The agency has implemented or is in the process of implementing all the Secretary of State's recommendations, including more robust auditing of CCOs and actions to improve accuracy in Medicaid eligibility determinations," communications director Robb Cowie stated in an email. And Allen and his team say new CCO contracts — drafts of which were recently issued for public comment — should address many of the problems. Rather than using "aspirational" language, Allen said, the new contracts will be enforceable. "You seldom see big reform efforts that play out as they were initally imagined and at the pace they were imagined," he said. He added that with the new changes planned, "I'm really comfortable that what we have now is a transformative product." This is the fifth article resulting from the Portland Tribune's participation in the 2018 Reporting Fellowship on Health Care Performance, which is supported by the Commonwealth Fund and sponsored by the Association of Health Care Journalists. 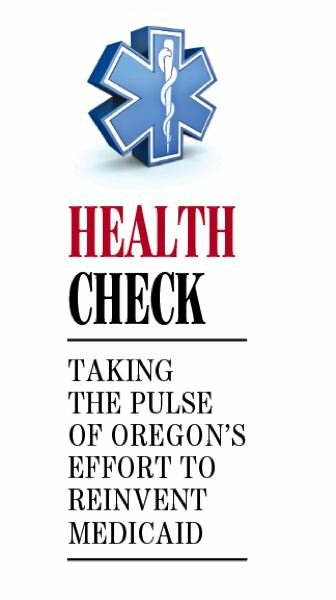 Reporter Nick Budnick is looking at reforms to the Oregon Health Plan, where they've succeeded and where they haven't.